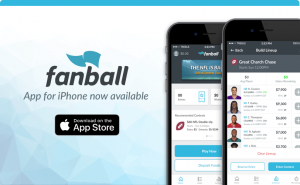 If you’re new to DFS (daily fantasy sports) don’t worry! 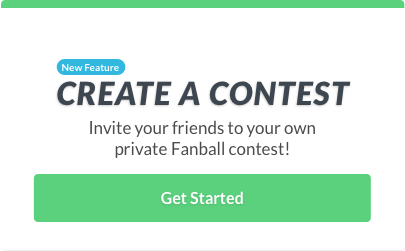 Fanball has contests for beginners so you can test the waters along with other new players. In this article players are categorized by position, price, and then reason for being listed. Here’s a few different words you’ll be seeing often what they mean for fantasy purposes. Value is when a player reaches three times their salary or higher. A fade is a player to avoid using, typically they’re highly-owned. A contrarian-play is a player that won’t be used by most. A stack is the use multiple players from the same game. I’ll also throw in some extras if I come across them in my research. Things like when a player is in a revenge, homecoming, and/or birthday game. 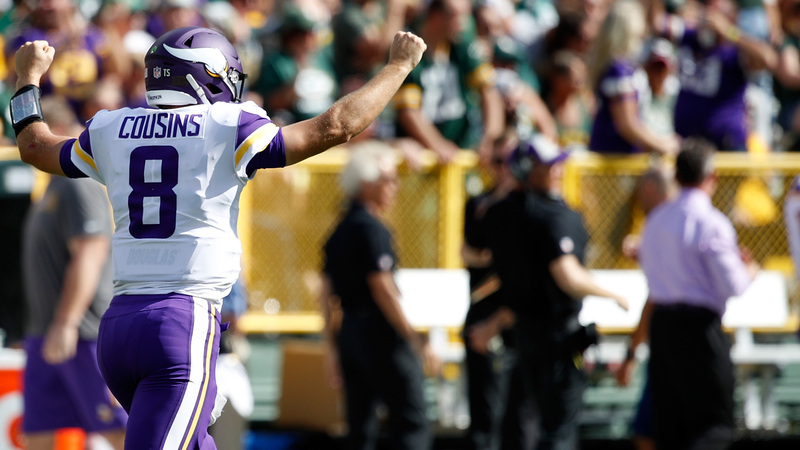 Kirk Cousins leads the Vikings into battle against a Buffalo team so bad, Vontae Davis opted for retirement instead of playing two more quarters. Cousins has the third-most Fanball points among quarterbacks, although he’s benefitted from an extra quarter of football. He’s averaging 335 passing yards and three touchdowns through the air along with 16 rushing yards. Joe Flacco put up 236 yards and three scores, while Phillip Rivers dropped 256 yards and three touchdowns himself on this Buffalo squad. My only concern would be a blowout limiting his upside, but he’s as safe as they come. Blake Bortles is riding high after throwing for 377 yards and four touchdowns against the Patriots. Jacksonville was without starting tailback Leonard Fournette and could be without him again this weekend. While that might be bad news for Jaguar’s fans, it’s potentially great news for Blake Bortles’ fantasy value. When Fournette sits, Bortles averages 323 passing yards and 2.25 touchdowns. When Fournette starts, Bortles averages 210 passing and 1.21 touchdowns. The sample size is small, but it does lend credence to my larger point that Jacksonville is more likely to rely on Bortles if they don’t have Fournette. By looking at the box score you’d think Matthew Stafford shredded the 49er’s defense. His final stat-line read 337 passing yards, three touchdowns, zero interceptions, and a completion rate of 64 percent. That’s pretty good right, so what’s the problem? Just split Stafford’s stats into the first 49 minutes and the final 11 minutes because Detroit was down by 17. They were forced into a pass-only offense, while facing a defense just trying to prevent any big plays. In the first 49 minutes he threw for 174 yards and a touchdown, in the last 11 minutes he threw for 173 yards and two touchdowns. Alvin Kamara has been the Saint’s workhorse, playing 79 percent of New Orleans’ offensive snaps. He has 21 rushing attempts for 75 yards and two touchdowns on the ground, but his real value comes as a receiver. He has 15 receptions off 18 targets for 165 receiving yards and one touchdown. He gets a perfect matchup for his skillset this week in Atlanta. The Falcons allow the sixth-most receptions and eighth-most receiving yards to running backs. They also allow the third-most yards per carry and have given up the fifth-most touchdowns to running backs on the ground. That’s about as good of a matchup as Kamara can get. Pairing a running back and defense is a great way to be contrarian while also doubling your upside. Chicago is a 5.5 point favorite on the road in Arizona, so if that holds true then the Bears will be leading and as a result, Howard should see a large workload and the Bears will be rushing the passer more often than not, which leads to more pressure, more sacks, and more turnovers. Howard has been on the field for 72 percent of snaps on offense, making Tarik Cohen just a change-of-pace back more than anything. Arizona has allowed opposing backs the second-most rushing yards and the most rushing touchdowns, making this a dream scenario for those who roster Howard. Arizona has been anemic on offense, scoring an NFL-worst three points per game. Last week Phillip Lindsay made my article as a lower-priced value at $4,100 and I was right for picking him. He had 15 touches for 111 total yards and finished with 14 Fanball points which was above our goal of 12. This week it’s a totally different story for Lindsay who would need over 17 Fanball points to be considered a value. He’s more expensive, he’s facing a tougher defense, he’s going to have a higher ownership percentage, and he’s still splitting touches in a running back committee, so I don’t like his chances. Baltimore hasn’t allowed a running back to score a rushing or receiving touchdown in two games. They’ve held opposing running backs to a total of six receptions for 17 yards with a catch rate of 46 percent. There’s 25 wide receivers with more receptions, but there’s only two with more yards than Tyreek Hill. He’s averaging 22 yards per reception and has three receiving touchdowns, one rushing touchdown, and a punt-return touchdown to boot. As the saying goes, it only takes one play and that couldn’t ring more true for anyone else besides Tyreek. He’s facing a 49er’s secondary that has allowed the fifth-most completions, the eighth-most passing yards, and ranks fourth-worst in opponent touchdown percentage and fourth-worst in passing touchdowns allowed. Carolina cornerback Captain Munnerlyn gets tasked with holding down the slot, but so far that’s been a losing battle. He’s giving up a 79 percent catch rate, sixth worst. His terrible coverage has attributed to Carolina allowing seven of ten completions to wide receivers and Football Outsiders isn’t backing this secondary either. According to them the Panthers have the seventh-worst pass defense overall, the third-worst defense against No. 2 receivers, and the seventh-worst coverage against the No. 3, No. 4, and No. 5 wide receivers. Clearly A.J. Green is top dog in this passing attack, but Boyd should be considered the second-best wide receiving threat for Cincinnati. He’s trailing Green in targets by just one and is seeing an 81 percent snap count on offense, making his value-mark of 14 Fanball points even more appetizing. You probably think I’ve gone crazy if I’m actually suggesting you avoid Michael Thomas in lineups this weekend. Well maybe I have, but then again this could be a huge boost if Thomas flops against the Falcons. He faces a tough pair of cornerbacks in Atlanta, Desmond Trufant and Robert Alford. Last season Thomas averaged 22 routes per game against the duo and was held to 4.5 catches on 6.5 targets for 59 yards and zero touchdowns. Numbers like that won’t come anywhere close to returning value. He would need 29 Fanball points to hit our 3x goal, 23 to touch 2.5 times salary, and to avoid being a total bust he would still need over 18 Fanball points for two times salary. It’s worth noting Thomas averaged four routes run when matched up with cornerback Brian Poole. As you probably guessed he fared much better with 2.5 catches on 2.5 targets for 33 yards and 0.5 touchdowns on a per-game basis. Someone had to pick up the slack Jimmy Graham left behind in Seattle and it looks like Will Dissly is the man holding the rope. He’s caught six of ten targets for 142 yards and two touchdowns during the two-game period he’s been an NFL tight end. The rookie will look to make his scoring steak a perfect three for three against the Cowboys. Dallas has allowed a perfect catch rate of 100 percent (worst in the NFL) to opposing tight ends, giving up 13 receptions (fourth-most) on 13 targets for 109 yards and a single touchdown. Doug Baldwin remains doubtful ahead of this showdown out west, so Dissly will need to continue the hot start if Seattle hopes to right the ship and avoid a three-game losing streak. Eric Ebron has been as lucky as they come when it comes to fantasy. He’s due for some serious regression to the mean after playing just 38 percent of snaps on offense, but still scoring twice with limited opportunities. Ebron’s back-to-back games with receiving touchdowns has inflated his salary up to No. 1 tight end territory, but he’s simply not that. You’re essentially overpaying for a backup tight end who’s been lucky first, good second. That’s just asking to get burned. The Cowboys might be on the road, but they still hold solid value and check all the marks for what we need in a defense. They have sacked opposing quarterbacks the second-most times, averaging 4.5 per game, and rank as the third-best defensive line in rushing the passer according to Football Outsiders. Seattle has allowed the most quarterback sacks giving up six per game and rank as the worst offensive line at protecting the quarterback by Football Outsiders’ metrics. Seattle’s offense has the fourth-most turnovers as well and ranks 21st in points per game. The Cowboys don’t have many takeaways (one) but they make up for it by ranking third in points allowed, so reaching 8.5 Fanball points shouldn’t be too difficult.